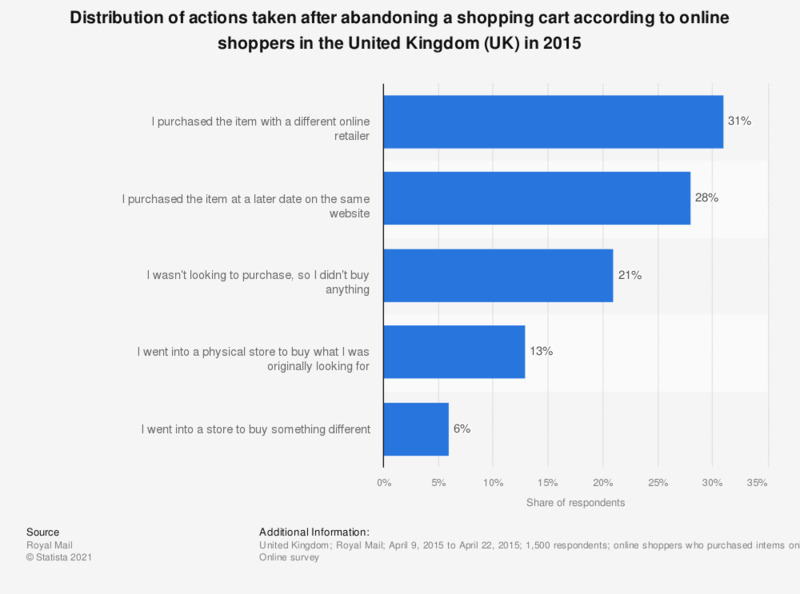 This statistic displays the distribution of actions taken after abandoning a shopping cart according to online shoppers in the United Kingdom (UK) in 2015. During the survey period, it was found that 28 percent of respondents reported that they purchased the item at a later date on the same website. online shoppers who purchased intems online in the prior three months.